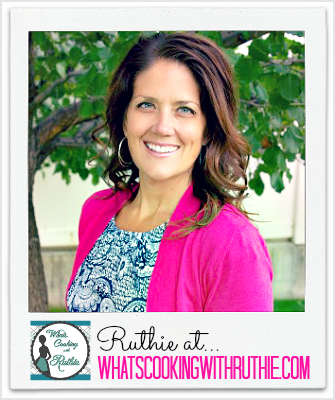 Hi everybody… It’s Ruthie from Cooking with Ruthie. I hope you’re having a totally fabulous morning and Happy Autumn! Oh my. It’s Pumpkin season and that’s one of the BEST times of the whole entire year. My Pumpkin Orange Pecan Loaf will put you in the mood for some fall baking for sure! Yummmm. You maybe thinking that pumpkin and orange isn’t supposed to go together but I’m here to tell you that in these little loaves- it’s magic. Delightful. You’ve just gotta give them a try and then you’ll see exactly what I mean 🙂 Everyone that sampled them could nothing but rave about how much they liked the pairing. Coat 2- 9x5 loaf pans or 4 mini loaf pans with cooking spray. In large mixing bowl combine eggs and sugar; cream. Add oil, orange juice, orange zest, greek yogurt, vanilla; mix to combine. Add all dry ingredients, mix until 80% incorporated. Add pecans, mix just until combined. Bake mini loaf pans 25-30, full size 45-50 or until toothpick inserted in center removes clean. Cool 5 minutes in pans, remove to cooling rack. In a small mixing bowl, cream butter, add 1 C powdered sugar; mix. Add orange zest and orange juice; mix until creamy. Add remaining powdered sugar ½ C at a time until desired consistency is reached. Drizzle on cooled loaves and enjoy! 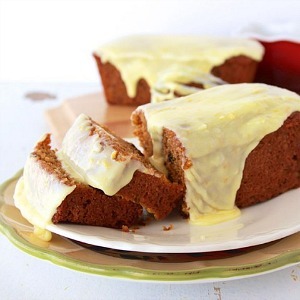 Enjoy the Pumpkin Season with all of these yummyilicous recipes! I hope you have a fabulous day and thanks so much for having me over to visit..
I’d love to have you stop by anytime over at my place. or on Pinterest, Google+, Facebook, Twitter and Instagram.